Mike Horne is a results-oriented professional focused on assisting executives and organizations to build performance cultures that support desirable organizational outcomes. Mike has led organizational change and diversity initiatives in dynamic environments. He is an experienced facilitator of executive teams and groups. He is skilled in cultivating executive talent, designing and linking human resources strategies to business performance, and in enhancing human and organizational performance. He is a seasoned business executive, having led the human resources, organization development, executive development, and training functions in large global organizations. His work includes assignments at some of the world's leading corporations, including Business Objects, Darden Restaurants (Olive Garden, Red Lobster), ExxonMobil, Gap, Inc. HP, Interwoven, Marriott International Inc., Nortel Networks, Office Depot, and Watson Wyatt Worldwide. Mike currently is a columnist for an American Express magazine, writing their Executive Coach column. In addition, he writes on the subjects of culture in mergers, coaching relationships, diversity, succession planning, and talent management and retention. His forthcoming book is on leadership and integrity, awaiting publication. 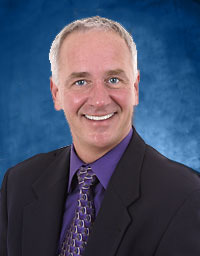 Mike has a master's degree in human resource development from The American University (Washington, DC), and a doctorate in organization development from The Fielding Institute. He holds two graduate faculty appointments. These organizations have featured his work: American Society for Training and Development, Black Human Resources Network, Human Resources Planning Society, International Society for Performance Improvement, Organization Development Network, The Network Group, and The Conference Board. He has served as a Board member or in an advisory capacity to the Board of Governors of the American National Red Cross and the American Foundation for the Blind. Mike worked with the late Dave Thomas, Founder and CEO of Wendy's International to influence Health and Human services to allocate resources for a national technology project for foster children, and received White House recognition for these efforts. Additionally, Mike was a Peace Corps volunteer in the Solomon Islands. Mike delivers outstanding work with excellent attention to both the process and content aspects of the project. Mike brings a wealth of knowledge, experience, and professionalism to organizations and differentiates himself from others by his customized approach and customer service orientation. Leadership Acts delivers services in a professional and timely manner. They are direct and purposeful in their methodological process identification and execution. They consistently exceed expectations of service delivery. Mike brings humor to his topics, but carries out tasks in a highly professional manner. He has immense knowledge in Leadership and Organization Behavior, which he applies well to the workplace. Your working with us again was indeed an honor, Mike. You have become a valued member of our family, and we hope to see you again soon. You contribute tremendous value to each meeting based on your knowledge, strategy, and quality processes. Most important, you have a terrific style that makes participants respond comfortably to you without feeling "facilitated." We sincerely appreciate your work with us and look forward to future projects. Mike is able to command respect ... has a natural comfort in front of a group, and a wonderful sense of humor that enables him to take things "lightly" and to laugh at himself with charm and ease. There are some useful articles and you can learn more about Michael Horne.